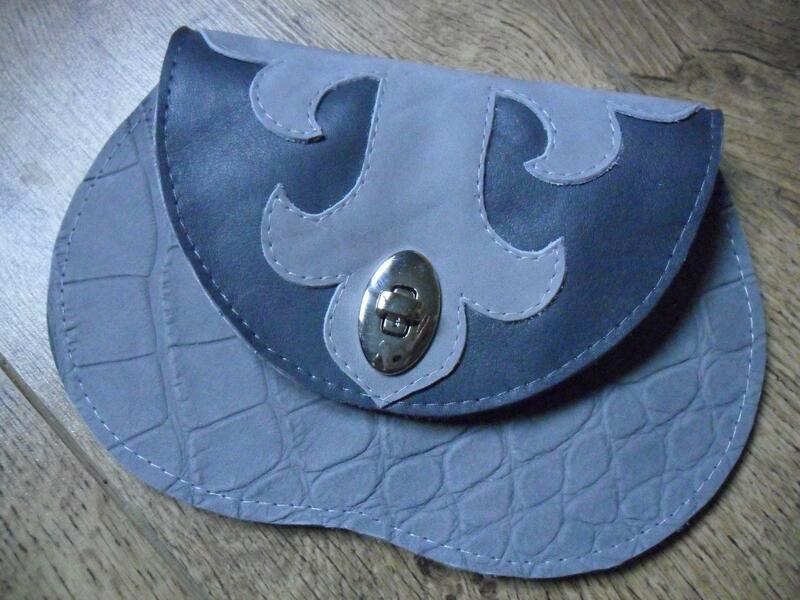 This is a unique genuine leather b little bag made by my own design. 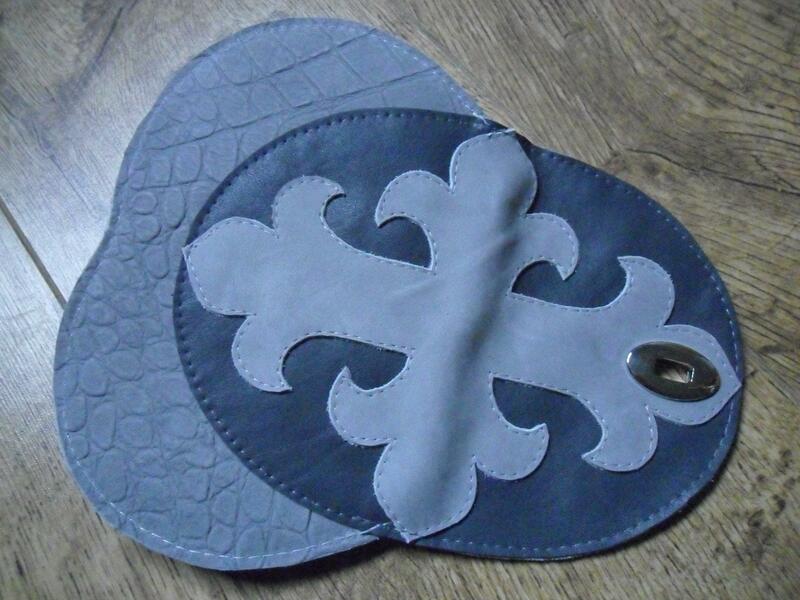 It is made from genuine leather embossed with crocodile pattern in gray and simple two shades of gray leather on outside and simple gray coloured genuine leather on inside. 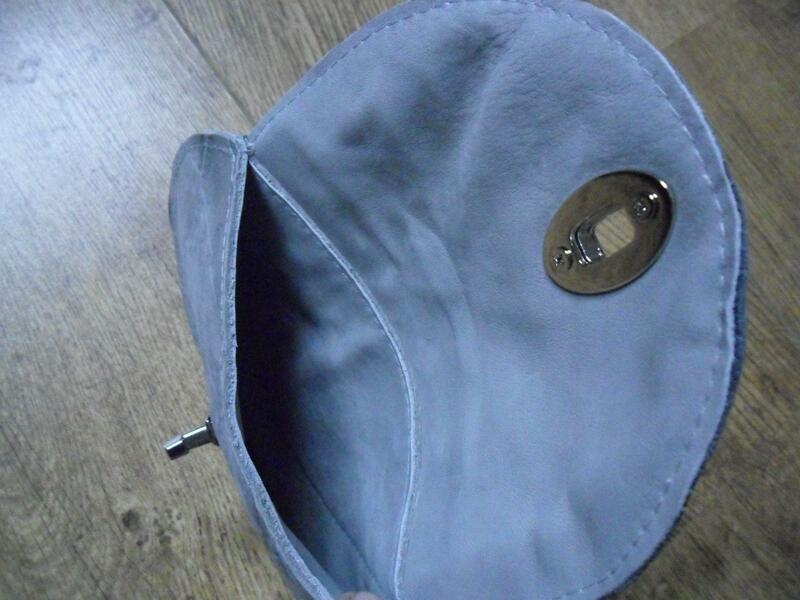 Dimensions of the bag are 13 cm/20 cm.